In our timber framing courses , students that have never touched a chisel or handsaw are transformed into competent framers. 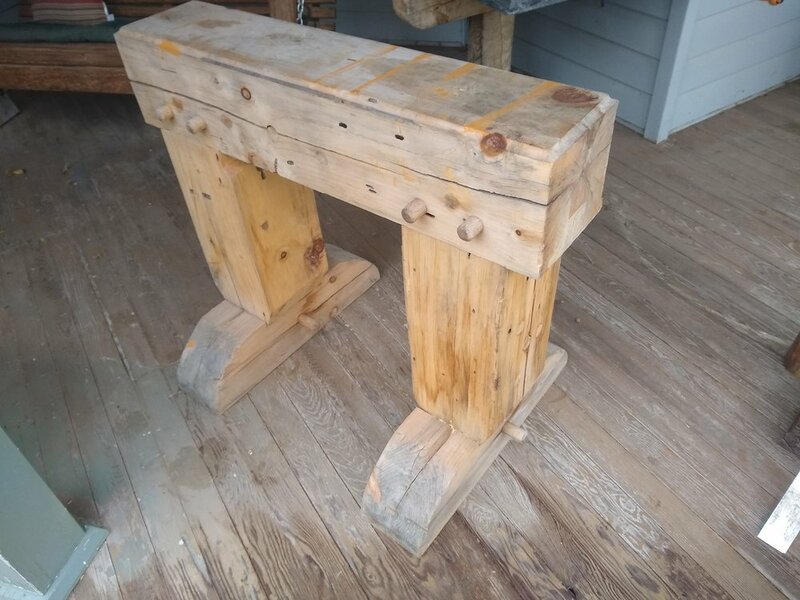 In short order, Anderson TimberWorks will have you drilling out mortises with an antique boring machine, producing square and true mortises using a framing chisel, and cutting tenons that fit up perfectly. Our classes provide the skills needed and, more importantly, fuels our students inner-drive, such that, they believe, "I can build that!" This translates to our students applying the methods they learned in class to building their own small timber framed structure. And, if you would like to purchase a frame, often the frame constructed during the class is available for purchase. Learn basic framing; build a timber framed sawhorse. The class focuses on getting acquainted with timber framing tools, practices, and techniques. The course is a great starting point for a student interested in learning to timber frame. We employ square rule methodology and build a sawhorse using traditional tools. We also use a few power tools to speed the process along. Learn to timber frame; build a small structure. This class is designed to build the skills and confidence needed to tackle a small building. No experience required, we will cover safe work practices and teach proper operation of hand and power tools. The class focuses on traditional building methods supplemented with modern tooling. We employ square rule methodology to layout timbers. Then, we cut, and raise a small timber frame structure using traditional tools. Learn to sharpen traditional tools and how they are used to produce mortise and tenon joints. 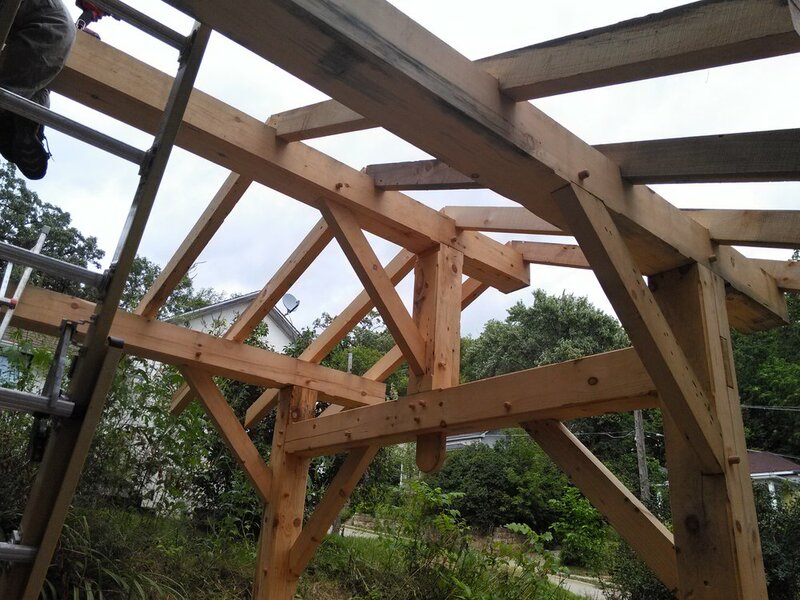 This is a great first step, if you think you may be interested in Timber Framing. Students are exposed to timber framing tooling & practices; they walk away from the class with ability to hand sharpen any tool with and edge.